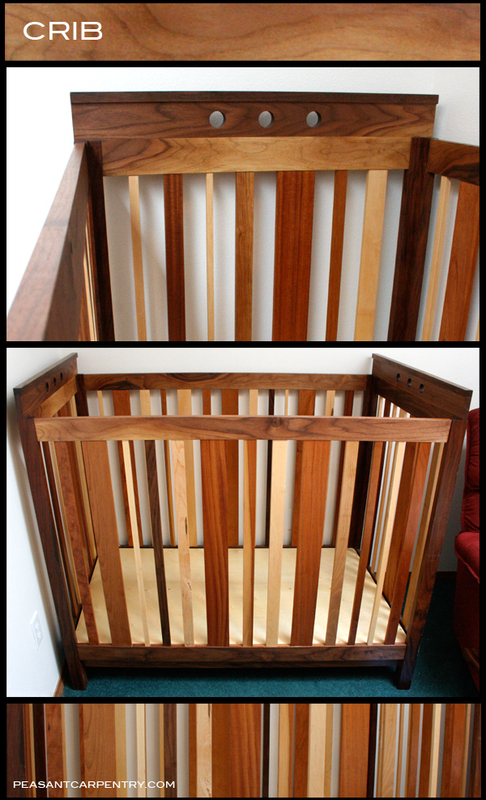 I designed this crib for my son and built it using various widths of walnut, cherry, maple, and two types of mahogany. The bottom is made of baltic birch plywood with a bamboo frame structure underneath for support and rigidity. I built this light table for my wife, who is an illustrator. It is made using walnut veneer and white bamboo. In order to give it a clean, polished look I built it using all miter work and hidden joiners. It matches the flat file next to it which I also built for my wife.